Here are fun things to do in Los Angeles in 2019 that are perfect for all types of travelers including families. The many choices you have include interesting places like Beverly Hills, Santa Monica, Venice Beach and you can take day trips to Tijuana, San Diego as well as Las Vegas. 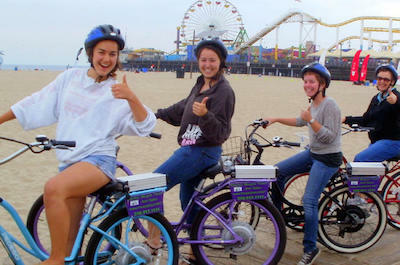 Exciting tour options for hiking, surfing and bicycling are excellent for exercise enthusiasts. Thrill seekers will get an adrenaline rush from indoor skydiving, tandem paragliding or a helicopter tour. There are incredible food tours, cultural excursions and haunted tours which are family-friendly fun as well as nature excursions to Yosemite National Park or you can cruise the Pacific Ocean while watching for whales and dolphins. Movie buffs will be pleased viewing filming locations, Hollywood Boulevard and Warner Bros. as well as Hollywood Studio. Sightseeing tours are one of the most fun things to do in Los Angeles to make sure you see exactly the sites that you want to view. There are numerous excursions that are ideal for all travelers including families. Options range from a guided Segway, bicycling and walking tours to riding in a comfortable coach or you can choose to take a unique electric vehicle excursion as well as a VIP limousine. 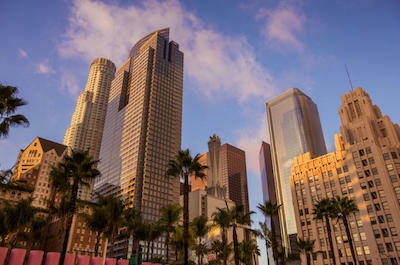 You can visit exciting places such as Hollywood Boulevard, Venice Beach, Santa Monica and downtown Los Angeles. These tours are also flexible with your time with excursions ranging from 1-hour to all day depending on what you want to see. Whether you are in a small group or large group there is sure to be the perfect tour fit your lifestyle and budget. One of the more popular things to do in Los Angeles for families and first time visitors is to take a superb hop on hop off tour. This is a great way for travelers to get a lay of land without having the hassle of renting a car or fighting traffic. You will be delighted with riding on a double decker open air bus as you travel from site to site while listening to informative commentary from your tour guide. There are over 50 stops included on six different routes which make for a perfect way to explore while traveling at your pace with the ability to hop back on the bus at a later time. You can purchase a one or two day pass to make sure you see everything you came to see. When you want to see all the different facets of the incredible movie industry in all its glory then a perfect fun thing to do in Los Angeles is to go on a movie tour. These excursions are ideal for families and movie buffs that are seeking to see exact movie filming locations, the production studios at Warner Bros. or Hollywood Studio as well as celebrity mansions in Beverly Hills and Bel Air. 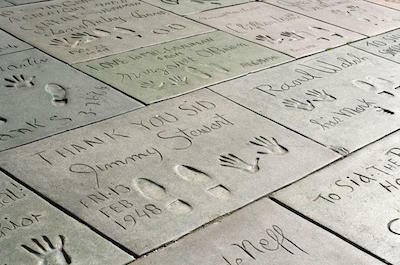 You have other excellent tour options such as Rodeo Drive, Sunset Strip and the Walk-of-Fame on Hollywood Boulevard which seems to stretch forever with 2,600 plaques. There are several forms of transportation that range from walking to a comfortable coach to an open air touring vehicle as well as a self-guided tour on a bicycle. When you want to get out of the hustle and bustle of the city then an ideal thing to do in Los Angeles is to take an exciting day trip from Los Angeles. You will be excited with the wide assortment of these excursions that will take you to places such as Las Vegas, San Diego, Tijuana, Santa Barbara and Palm Springs. If you are interested in nature then try Yosemite National Park or a boat to Catalina Island and you can choose to spend the day in several unique beaches like Venice, Long Beach as well as Huntington. There is a wide variety of transportation options from a comfortable coach to airplane to train to bike and many of these excursions are excellent for families such as a day trip to LEGOLAND. 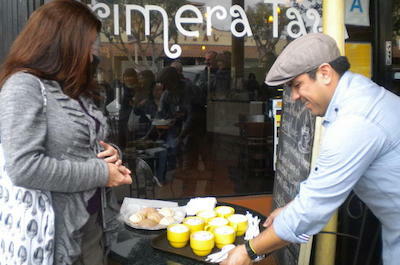 If you are a foodie or a person that likes to learn about the culture, ethnicity and history of an area through culinary delights then the perfect thing to do in Los Angeles is to go on a food tour. These tours are great for everyone that are interested in indulging in the food truck scene, visiting a farmer's market, eating cupcakes as well as discovering that perfect pizza slice. Other options have you tasting craft beers, pairing wines with cheeses as well as learning cooking techniques from a well-known chef. You will be delighted with the locations which include the ethnic neighborhoods of Los Angeles, Pasadena, Beverly Hills, Santa Monica and Hollywood. 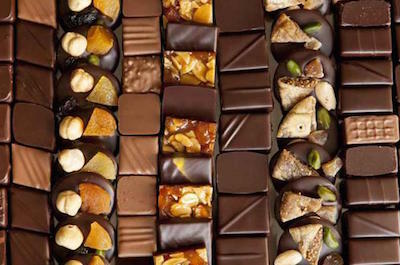 This wide assortment of excursions will send your taste buds to another planet when you taste culinary delights from chocolates to tacos to a 4-course gourmet meal. 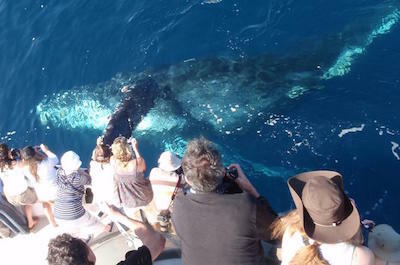 If you are interested in watching some of the world's most majestic marine animals in their natural habitat then the only thing to do in Los Angeles is to go on a dolphin and whale watching tour. You will be thrilled as you cruise the waters of Pacific Ocean watching marine life such as finback whales, gray whales and humpback whales as they migrate south for the winter from their home in the Bering Sea. Other spectacular marine animals you can view include several species of dolphins, seals and sea lions will dot the coastline as you travel past. You have several options for departures that range from Anaheim to Los Angeles to Newport Beach and these excursions are very family-friendly oriented as well as superb educational opportunity. Helicopter tours are the best thing to do in Los Angeles when you want to mix adrenaline with beautiful sightseeing opportunities. These excursions are perfect for everyone and the bird's eye view from above will leave lasting memories. 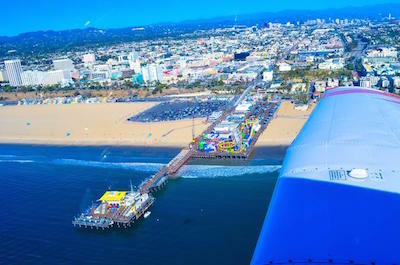 There are a wide variety of tours from a flight over the Pacific Ocean coastline above Redondo Beach as well as Long Beach and you can get a unique perspective of the Hollywood sign. Other exciting options include a trip to Catalina Island or over Beverly Hills while you view the mansions of the rich and famous. You can land on a rooftop or mountain top where you will indulge in a champagne toast and if you are looking for romance the sunset flight will amaze you and your loved one. If you want a bird's eye view of the beautiful natural and built environment of the area then a superb thing to do in Los Angeles is to try an airplane tour. You will be thrilled with take-off as your adrenaline lifts a little higher and the variety of excursions is fabulous. 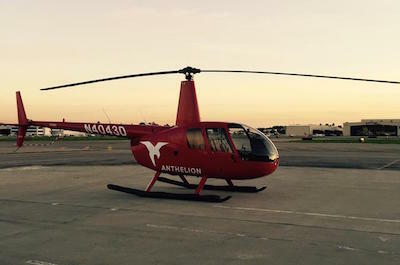 Tours range from flying over downtown, Hollywood City, Malibu Canyon and coastline as well as Santa Monica. There are several other options such as a flight to Catalina or you can spend the day in Las Vegas having fun before returning to Los Angeles. The natural scenery is gorgeous above the Pacific Ocean while watching marine life in their natural habitat or a surreal sunset. You can enjoy champagne while you view the Hollywood sign from the sky and your pilot will double as an expert tour guide. Los Angeles is a mecca for the hyperbole of a melting pot in the United States and one of the best things to do in Los Angeles to take a culture tour. 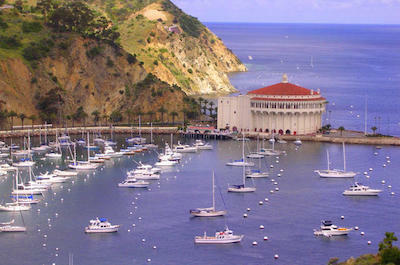 You will be exciting by the various cultural themes you can see on these excursions from the early inhabitants of Los Angeles to Chinatown to picturesque Catalina Island where you can taste award winning cuisine and view historical architecture. Other interesting cultural themes include the stellar mansions of the many celebrities that live in Beverly Hills as well as the excellent Latin food specialties, the Hispanic culture of East Los Angeles and Boyle Heights. No matter what type of cultural experience you are looking for there is a perfect tour for you and your family. 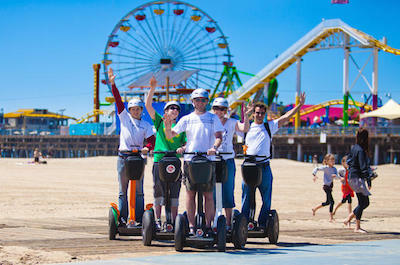 One of the more enjoying and entertaining things to do in Los Angeles for people who to catch as many sightseeing opportunities in a short time fame is to take a Segway tour. These excursions offer something for everyone from the La Brea Tar Pits to celebrity homes in Beverly Hills to the Miracle Mile in Los Angeles where you will find Museum Row and a plethora of museums. Other interesting options include Venice Beach where you can gaze at the Pacific Ocean or Santa Monica where you will have time to enjoy the excitement of the Santa Monica Pier. Segway's are easy to navigate and are a fun way to travel as you glide from site to site listening to expert commentary from your guide while enjoying a wonderful day. One of the best family friendly things to do in Los Angeles is to take the family on a superb walking tour. The variety of these excursions will amaze you as well as the interesting sites and history that you will learn as you walk. Each tour concentrates on something special such as historic architecture, ghosts, movie locations and nature. Other options will have you learning the early history of Los Angeles, tasting a variety of foods or viewing the homes of celebrities. 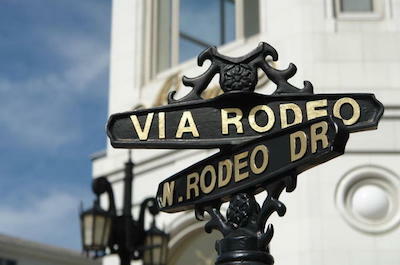 These excursions will take you to places like Griffith Park, Runyon Canyon, Rodeo Drive and Pasadena as you wander the streets or the trails taking in the scenery of landmarks such as the Hollywood sign, the Hollywood Walk-of-Fame as well as the Arts District which is filled with murals and art galleries. 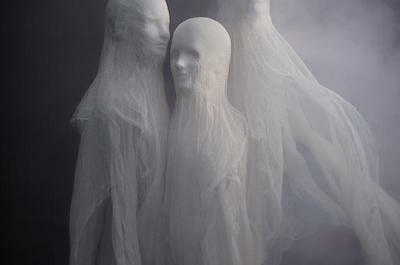 If you are the type of person that likes to hear ghostly tales of the past and visit interesting places then the ideal thing to do in Los Angeles is to try a ghost and vampire tour. You will be haunted for life after you experience the macabre world of the greater Los Angeles area when you visit paces such as Hollywood, Beverly Hills, the Sunset Strip and downtown Los Angeles. On these excursions you will listen to spine tingling tales about the true crime history of serial killers, the ghosts of Hollywood Boulevard as well as view the places that celebrities like River Phoenix, Whitney Houston and Michael Jackson spent their last hours. 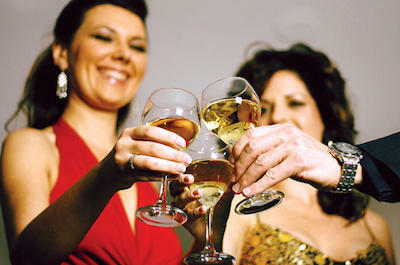 Added bonuses on some tours are a stop at the Vampire Winery and viewing the beautiful historic architecture of downtown. 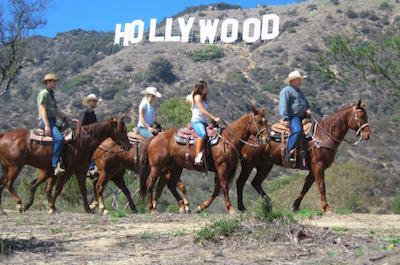 When you want to experience a gorgeous 360 degree panoramic view of the area and have some family fun then a perfect thing to do in Los Angeles is to take a horseback riding tour. These adventures are perfect for all types of horseback riders from novice to expert. You will enjoy the peace and quiet as you ride through Griffith Park as your riding guide explains the many interesting places you will view on your trip. As you ride you will be afforded excellent views of the surrounding natural landscape with wildlife as well as the built environment of the greater Los Angeles area. When you reach the summit of Mt. Hollywood you will have perfect photograph opportunities of the famous Hollywood sign on the hillside. When you want to get outdoors and experience nature, beautiful scenery and some exercise then a superb thing to do in Los Angeles is to go on a hiking tour. You will be delighted with the places you can hike in the greater Los Angeles area that will allow for excellent sightseeing opportunities of both the natural and built environment. 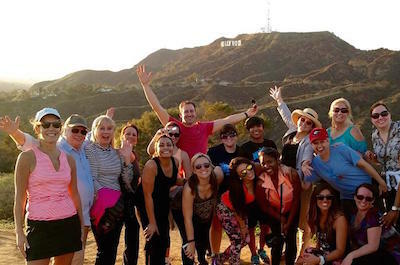 These excursions will take you to fabulous places like Hollywood Hills where you will be afforded superior views of Los Angeles; you will spot numerous filming areas within Griffith Park and at Runyon Canyon you will hike through incredible coastal scenery. Another interesting option is the surf camping tour which will have you camping on the beach and living like a surfer. All in all there is a perfect hiking tour for all types of travelers including families. When you want to get some exercise while experiencing wonderful places then an ideal thing to do in Los Angeles is to go on a bike tour. You will be amazed at the wide variety of these excursions that will have peddling through downtown, Santa Monica, Hollywood and Venice Beach. Other options include a self-guided tour of Beverly Hills and Bel Air where you will spot celebrity homes or you can go mountain biking in the Angeles National Forest. If you are a foodie then try the bike tour of taco stands for an incredible food filled and calorie burning day. There are several bikes you can choose to ride from beach cruisers to hybrid electric to mountain and you can find an excursion that fits the amount of time you want to peddle around the area. 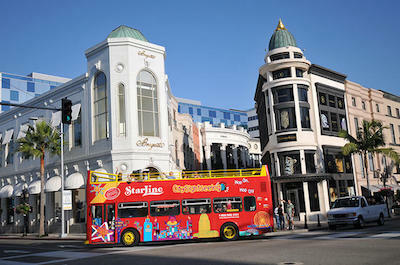 When you are ready to shop until you drop in one of the world's fashion capitals then an ideal thing to do in Los Angeles is to schedule a shopping tour. You will be thrilled with variety of places you can visit on these excursions such as famed Rodeo Drive, Santa Monica, Palm Springs and even Tijuana. You have control over the time you want to spend shopping with tours lasting between 4 to 12-hours depending on your selection. 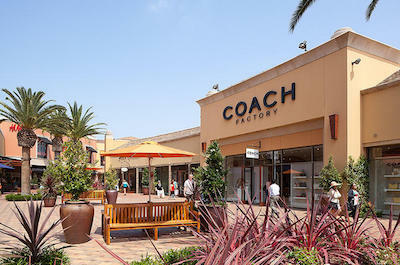 You can visit outlet stores that boast value, high-end boutiques for that one-of-a-kind item as well as an artisans market that sports the perfect souvenir for your home. Added bonuses on some excursions are a look at the rich and famous homes as well as experiencing a different culture in a foreign country. 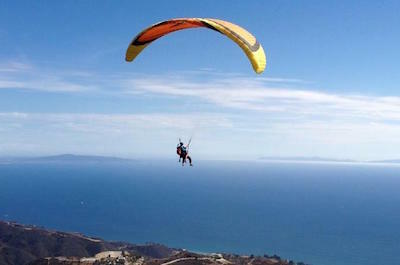 If you want to see the coastline from an interesting bird's eye view that is filled with adrenaline then the best thing to do in Los Angeles is to take a Tandem Paragliding tour in Malibu. You will be thrilled with this excursion that begins when you decide if you want to take a 20-minute motorized or 30-minute non-motorized tandem flight. You will be excited with your take-off from the beach or from the top of a nearby bluff and once your chute is filled with air you will soar through the sky. You can relax and enjoy the adrenaline as your expert pilot takes care of all of the navigational needs of the flying craft. Just look down at the incredible coastal landscape of the Pacific Ocean and let your mind fill with lasting memories. 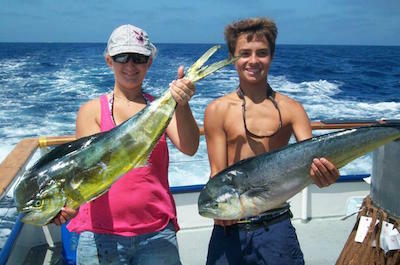 One of the more family friendly things to do in Los Angeles on the water is to schedule a fishing tour. You and your family will thrilled with the excitement of catching fighting fish such as sand bass, halibut, yellowtail, bonito, sea bass or even a barracuda. These excursions are great because no experience is necessary and you will receive expert fishing tips from your expert crew and caption. When you catch your prize fish you have the option of releasing or having your prepared for you to indulge in for dinner. You can also enjoy added bonuses on trips like these with beautiful vantage points of the scenery of places like Catalina Island, Dana Point and Huntington Beach. These half or full-day excursions will surly please everyone in the family. When you are searching for an incredible romantic evening then the best thing to do in Los Angeles is to try a dinner cruise. Once on board the luxury yacht you will indulge in a complimentary glass of champagne while you cruise the waters of the Pacific Ocean. As the sun goes down you will be pleased with the pastel colors of the sky as well as the gorgeous scenery of the coastline. While cruising you will enjoy a fabulous 4-course dinner which includes a tasty appetizer before being served a delicious salad and your exquisite main course is then followed by a wonderful dessert. When you are finished with dinner the real fun starts with a live DJ playing music which allows you to dance under the stars or just relax listening to great music while viewing the scenery. 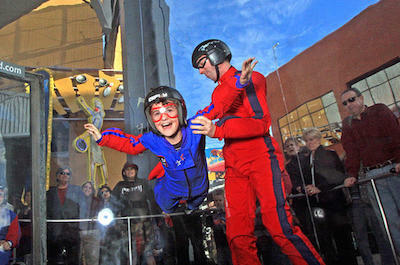 If you have ever wanted to feel the adrenaline rush of skydiving but don't want to jump from an airplane then one of the more unique things to do in Los Angeles in 2019 is to experience Los Angeles Indoor Skydiving for First Time Flyers. This is an once-in-a-lifetime experience to feel weightlessness in a controlled environment that is suitable for everyone. This incredible tour will have you freefalling twice for 60-seconds each time where you will reach airspeeds between 130 to 175 miles per hour all while your instructor is next to you making sure you are comfortable. Remember there is no parachute or jumping from an airplane. All there is just pure fun and adrenaline in a small group setting that is sure to please every type of thrill seeker.